As a salesperson, wasted hours on busy work means less time and less money in your bank account. To maximize your productivity – and the number of deals you can close – you want to minimize the amount of time spent on sales processes. Luckily, we live in a modern world with dozens of tools to make sales processes more simple. One of the best is IFTTT. IFTTT is an acronym for “If This, Then That”. The tool allows you to connect the technology apps and devices you use regularly to automate processes that not only improve your sales processes, but also help you keep in touch with friends, stay healthy, improve productivity and more. IFTTT works with Facebook, Twitter, EverNote, WordPress, Gmail, Square, FitBit, more than a dozen appliances, and a ton more channels. If you have top leads you’re tracking in hopes to close a deal, you can use IFTTT to receive alerts about their company news and updates. This will help you write warmer and more personal emails to them when checking in. Create an IFTTT recipe to send yourself an email every time a company is mentioned in blogs or online communities such as Reddit. IFTTT can track RSS feeds of major news aggregators and trigger alerts when there is a mention. 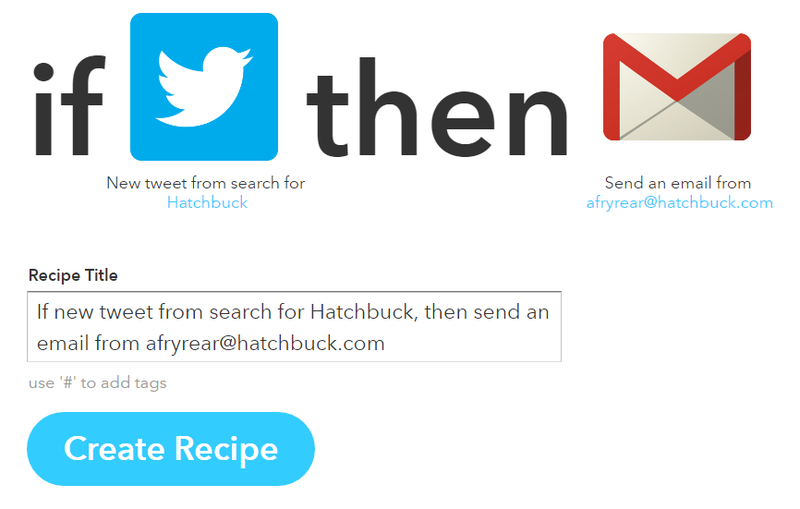 Create an IFTTT Recipe that triggers an alert when keywords are mentioned on Twitter. If someone needs help, you can be there first to answer their questions. If someone is looking for a product or service like yours, you can beat out the competition by being the first to offer a demo or deal. An overwhelming amount of content is produced every day, and it can be tough to keep up with the latest sales trends. Use Pocket – a content curation tool – in conjunction with IFTTT to ensure you’re always learning ways to improve your business. Connect Pocket with IFTTT, and you can automatically save articles from your favorite industry blogs, or articles that mention specific keywords. Next, Connect EverNote with Pocket, and you can save starred items or links from Pocket to your EverNote account to keep track of notes and advice you want to followup on. Get advice and updates from your fellow sales colleagues. Reddit has a few great communities around sales, notably the subreddits /Sales and /SalesMotivation. Within these subreddits, you’ll find advice on upcoming sales conferences, salary negotiation, sales software recommendations and more. Connect IFTTT to Reddit, and ensure you’re not missing important conversations. You can create a recipe to save top posts from subreddits of your choice in Pocket so you can remember to read them when the time allows. Working too much, spending too much time in meetings, or not tracking billable client hours properly? IFTTT can help with all of that. You can track the time you spent with clients by logging office visits in your calendar or Google Drive. Then, automatically mute the ringtone on your phone during a client meeting using an IFTTT recipe. You can also set a notification after you’ve been at work for a certain amount of time, reminding yourself to keep the work life balance that’ll help you be a healthier, happier employee. 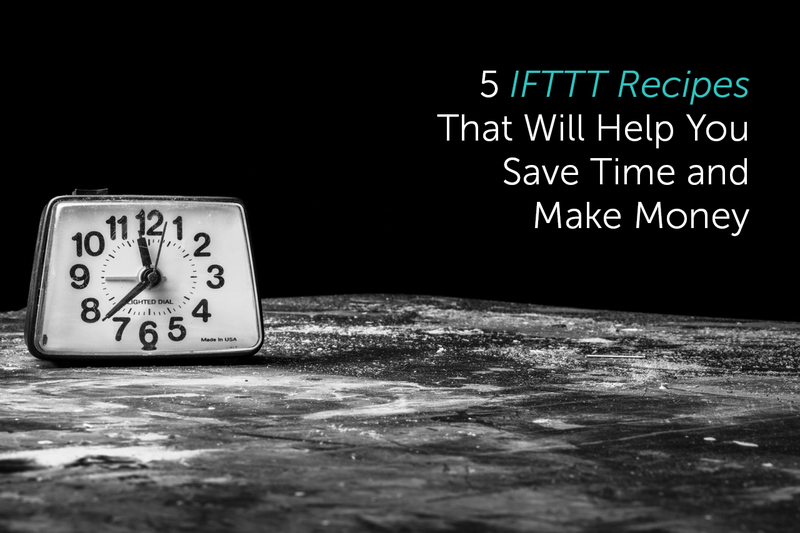 We’ve listed just five areas that IFTTT can improve your daily sales process, but there are dozens more available within IFTT’s list of sales recipes.